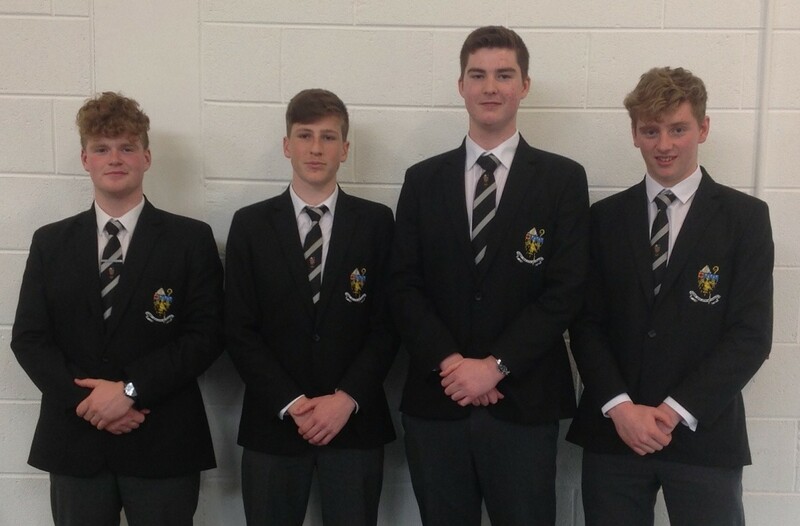 The German Debating Team has qualified for the All-Ireland Final of the GDI All Ireland German Debating Competition. This is a German language debating competition open to TY, 5th and 6th Year students and this is the 23rd year of the competition. It is organised by the Goethe-Institut Ireland and this year 39 schools participated in the debates. 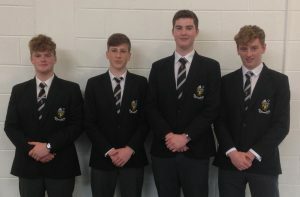 The CCR team of Sean Clancy, Lorcan McDonnell, Manus Heenan and Jack Gilligan has come through some challenging rounds against the Ursuline Convent Thurles, CBC Cork, Coláiste Choilm Ballincollig and Mercy College Kilbeggan to reach the final round, which will take place on 9th May. Previously CCR won the competition in 2013. During the debate, which is entirely in German, the captain speaks twice, initially to introduce the team’s arguments and then at the end to summarise their speeches and to rebut points made by the opposition. The three speakers each present a four-minute speech proposing or opposing the motion. Marks are awarded under the following headings: content, linguistic ability, rebuttals and engagement with the audience (incl. creativity and humour). The team members have worked hard and devoted much study time as well as free time to reach the final and we wish them every success!